But I’ve resisted because I know that many tiny creatures rely on the decaying plants for their food and shelter. Today I’m so glad that I waited. I found some lovely ripe seeds on my Aster plants. So I’ve collected some for sowing now and more to save for a spring sowing. Each seed has a little parachute of fine hairs so the wind can spread them around so I was really lucky to spot them before they were swept away. These seeds may not produce plants like their parent but for me that adds to the fun. 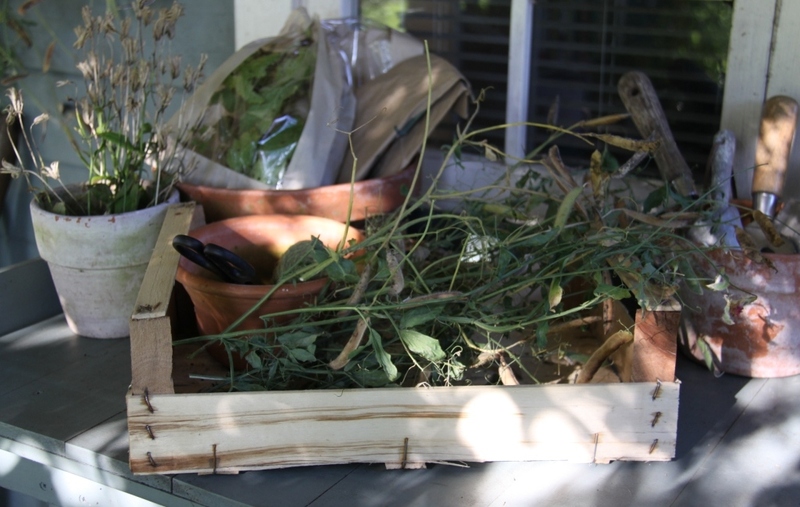 Identical plants or clones are produced by taking cuttings and I’ll do that too… but for now I’m sowing half the seeds and saving the others to sow in spring. 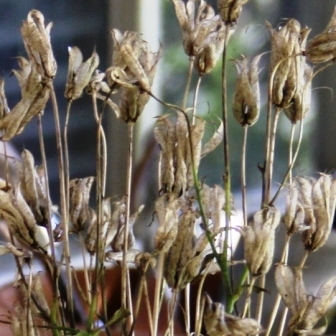 • Collect your seed heads on a dry day. The seeds they are ripe when the seed pod swells and changes colour…usually turning from green to pale brown. Some seeds rattle in the pod. • Cut the flowering stem and transfer carefully to a large paper bag or open box or bowl and take them indoors into a dry place such as a sunny windowsill or your airing cupboard to make sure they are thoroughly dry. • Tip the seeds out onto a large clean sheet of white paper and carefully remove the seed pod and any chaff – debris such as tiny insects and decaying plant material. 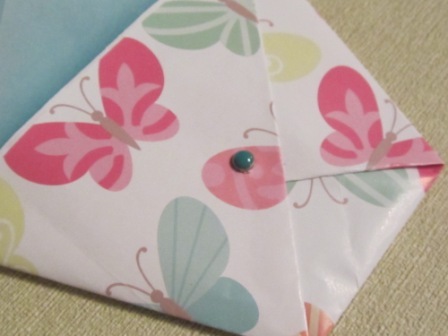 • Transfer the cleaned seeds into a paper envelope and store in a cool dry place until you are ready to sow next spring. 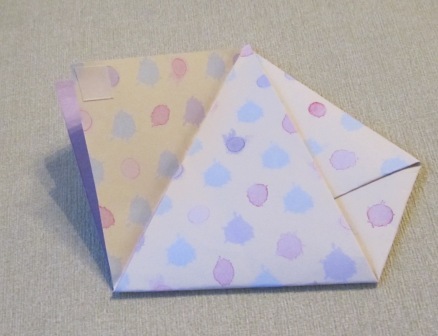 How to make paper seed packets. 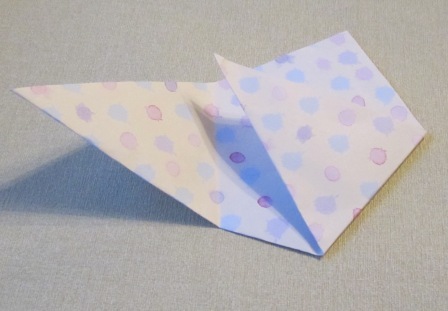 • Fold in half to make a triangle. 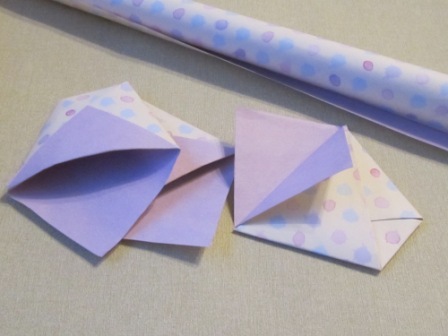 • Fold the left corner in to the middle of the right edge. 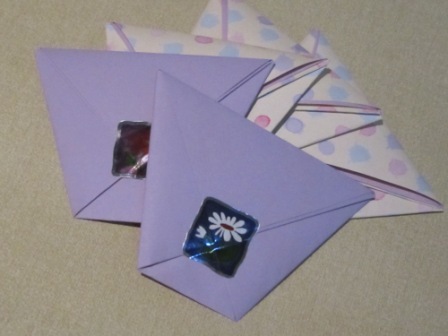 • Open the packet by folding down the top of the triangle and secure in place with a small piece of double sided sticky tape. 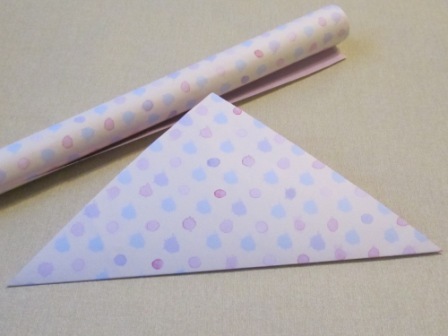 • Add the seeds you have saved and fold the remaining flap down. Seal with tape or a split pin and finally add a label with the name of the plant and the date you collected the seeds.